In my travels recently, I was walking around historic Charleston, SC on a bright beautiful summer afternoon. 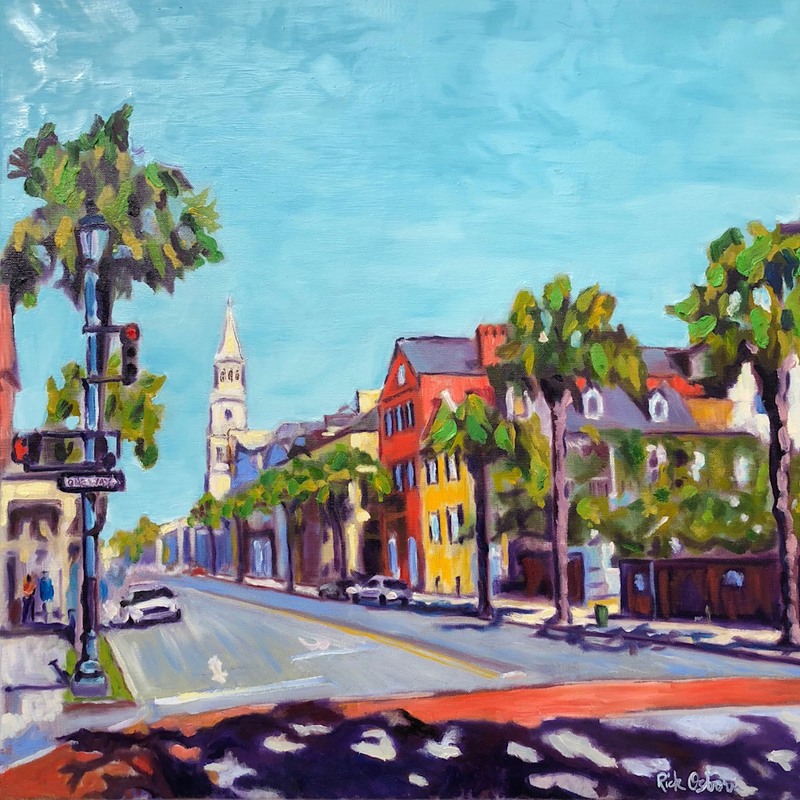 When I arrived at King and Broad Streets, I was struck by the light and dark and color of this iconic southern street. 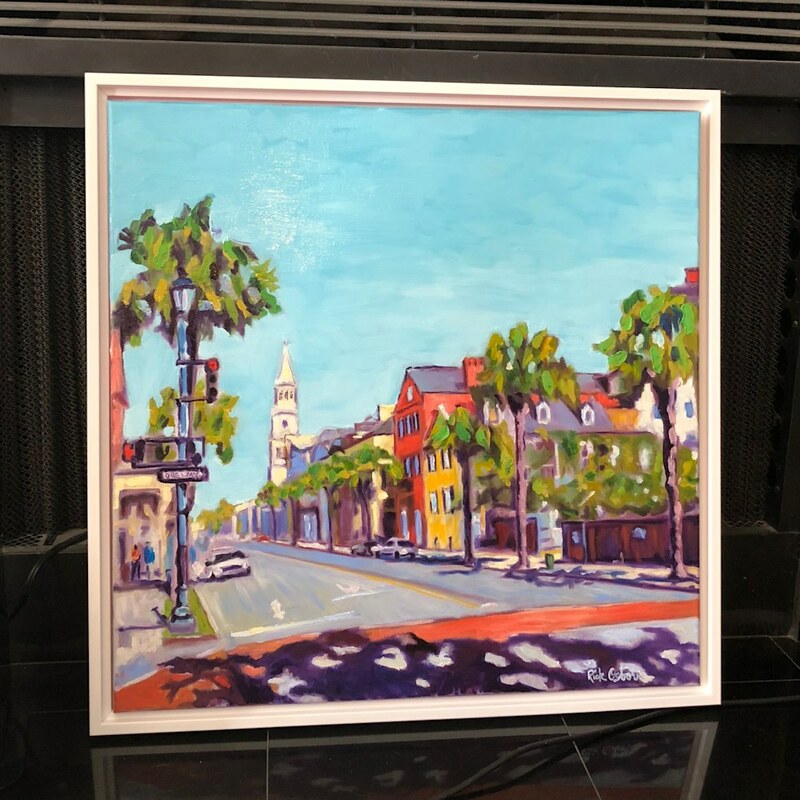 This scene, originally painted in oil, was done with the purpose of capturing the beauty of the moment in Charleston, SC. To me, this particular perspective embodies what most people think of classic and historic Charleston. 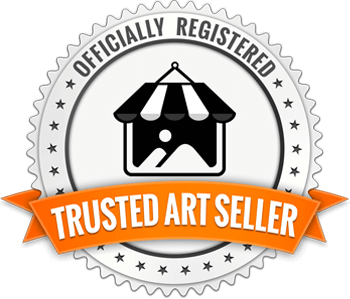 This painting is 24x24 on a .5 inch canvas and framed in a wooden white floater, depicted in the image below.